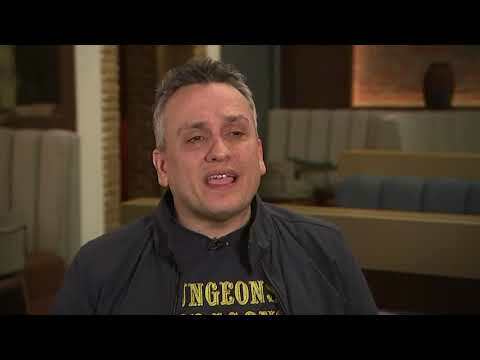 What comes after ‘Avengers: Endgame’ for Russo brothers? LOS ANGELES (AP) — The fourth "Avengers" movie finally has a title. Marvel Studios and the Walt Disney Co. said Friday that the highly anticipated, and closely guarded, conclusion to the "Infinity War" saga will be called "Avengers: Endgame." Duke (7-5, Atlantic Coast Conference) vs. Temple (8-4, American Athletic Conference), Dec. 27, 1:30 p.m. EST (ESPN). Duke: QB Daniel Jones has thrown for 2,251 yards and 17 TDs with seven interceptions and has rushed for 325 TDs and two more scores. Temple: QB Anthony Russo led the team to a 7-2 record after taking over as the starter as the Owls averaged 36 points and 435.7 yards per game with him under center. PHILADELPHIA (AP) — After throwing three interceptions, Temple's Anthony Russo came through down the stretch and the Owls handed one of the most surprising teams in the country its first loss. Russo threw a tying, 20-yard touchdown pass with 49 second left to Brandon Mack, and then a 25-yard TD to Isaiah Wright in overtime as Temple beat No. 20 Cincinnati 24-17 on Saturday. Cincinnati (6-0, 2-0 American) at Temple (4-3, 3-0), noon, ESPNU. ANNAPOLIS, Md. (AP) — Temple quarterback Anthony Russo has impressed his coaches with his big arm and tendency to make game-changing plays at critical moments. ANNAPOLIS, Md. (AP) — Anthony Russo threw for 300 yards with a 62-yard touchdown pass to Ventell Bryant midway through the fourth quarter and Temple won for the fourth time in five games by running past Navy 24-17 on Saturday. ANNAPOLIS, Md. (AP) — The last time Temple visited the state of Maryland, the Owls stopped a two-game skid. On Saturday, they will be looking to sustain some positive momentum. Temple (3-3, 2-0 American Athletic Conference) faces Navy (2-3, 1-1) after winning three of its three of its last four games in convincing fashion — a streak that began with a 35-14 rout of Maryland in College Park on Sept. 15. PHILADELPHIA (AP) — Anthony Russo threw for four touchdowns and Temple rolled past East Carolina 49-6 on Saturday. Russo, a freshman making his fourth start, was 21-of-25 passing for 254 yards and was intercepted once. He threw a 24-yard TD pass to Sean Ryan and a 7-yarder to Branden Mack for a 14-0 first-quarter lead. NEW YORK (AP) — Chadwick Boseman will step out of Wakanda for the New York police drama "17 Bridges." CURRYVILLE, Mo. (AP) — Investigators are still looking into the cause of a spring blaze that killed thousands of pigs at an animal feeding operation in northeast Missouri. The St. Louis Post-Dispatch reports that the blaze in May swept through two structures at Spring Lake Pork in Curryville. CLEVELAND, Ohio – Directors Joe and Anthony Russo are feeling pretty good these days as fans line up to see their latest venture into the Marvel Cinematic Universe, "Avengers: Infinity War," a film replete with shocks and revelations. 'Avengers: Infinity War's credits will be unlike anything previously seen, according to directors Joe and Anthony Russo. The acclaimed moviemakers have worked with a star-studded cast that includes the likes of Robert Downey Jr, Chris Pratt, Chris Evans, Scarlett Johansson, Chris Hemsworth, and Benedict Cumberbatch on the eagerly-awaited new Marvel movie, and the directors have revealed how the credits are distinct from anything they've previously worked on. LOS ANGELES (AP) — Actor Robert Downey Jr. is joining the directors of "Avengers: Infinity War" in calling for fans to maintain secrecy. 'Avengers: Infinity War' is set to shake up life for Thor following the end of 'Thor: Ragnarok', according to directors the Russo brothers. At the end of the third movie starring Chris Hemsworth as the Norse God - which was released in October 2017 - the titular character finds his home world of Asgard in ruins, and life isn't set to get any easier for the character in the upcoming Marvel comics ensemble movie either. Karen Gillan says filming 'Avengers: Infinity War' and 'Avengers 4' back-to-back has felt like "the longest shoot in the world". The 29-year-old actress plays the role of Nebula in the Marvel movies and she's admitted that her latest on-set experience of working with directors Joe and Anthony Russo has been an exhausting process.